Would you agree that one of the difficulties of being a newlywed is the transitioning from being a single / dating person to actually being a married one? It’s not an easy transition and often you don’t get much newlywed marriage advice from those who have been in your shoes and successfully figured it out. This is what makes the first year of marriage so important as the two of you go through the process of connecting as a married couple. This post contains affiliate links. This means we will receive a small commission (at no additional cost to you) if you purchase a product through one of our links. Thank you for supporting LifeLoveandBlog! For newlyweds, there’s often this build up of excitement and romance in anticipation of the wedding day. After the wedding, there’s the honeymoon that’s again filled with the excitement and happiness as you two are finally together as a newlywed couple. However, after the honeymoon is over you must begin the process of establishing a life together and growing as a married couple. Your real life together is now beginning and you have to figure out how to transition into this new stage of life together. Wouldn’t it would be awesome if you could travel forward in time and get marriage advice from your future self? Unfortunately, since time travel isn’t available (unless I’ve missed some recent breaking news) getting newlywed advice from your future self isn’t possible. If I could travel back in time and talk to my newlywed self, I’d tell myself a few key things I’ve learned from more than a few years of marriage. I’d tell myself that marriage takes a lot of work and commitment from both spouses. I would tell myself that both must work hand in hand in order for the marriage to be successful. 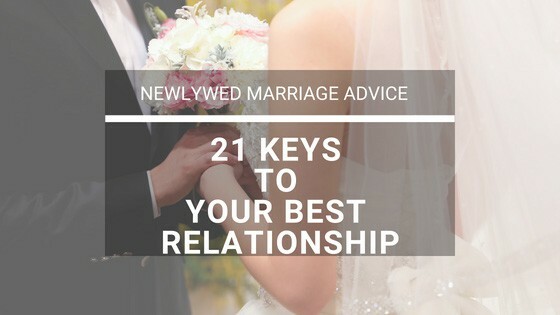 In this post, we are going to look at some specific marriage advice for newlyweds couples. I guess this is a pretty obvious statement here. However, how and when you say “I Love You” is the important message that needs to be delivered. You must learn to say “I Love You” in a manner that is meaningful to your spouse. You and your spouse must learn to speak each other’s love language (as well as learning your own love language). Few things are as frustrating in a marriage as working hard to let someone know how much you care about them only to have those efforts go in vain. This happens when you and your spouse are speaking two different love languages. 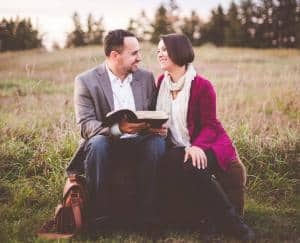 For newlywed couples, learning how to speak you spouse’s love language during the critical first year of marriage is going to go a very long way in helping you to have a happy and loving marriage. If you have not read Dr. Chapman’s very successful book 5 Love Languages, I highly recommend it. It has meant the world to Anne and me. You need to really understand your spouse. This really ties in well with our topic above about learning your spouse’s love language. My wife can look at me and know when something is on my mind. She can hear it in the tone of my voice, the look in my eyes, and in my breathing patterns. How? She has worked hard to learn my moods and behaviors. She was only able to do this because she cared and loved me enough to become a student of me. Mark Merrill has a great post on how to become a student of your spouse. Check it out here. Do you and your spouse have shared interests? Are you working towards a goal together? I’m not saying you can’t (or shouldn’t) have individual interests, but you should certainly have shared interests or goals that you are working on together. Anne and I started LifeLoveandBlog.com together. We talk about it over dinner. We review each other’s work. We encourage each other. 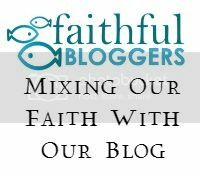 Using this blog to improve our lives as well as those who read our posts is a goal that we jointly share. During the time that you were dating, you probably identified some common interests, right? You did things that you mutually enjoyed, right? Once you are married, you must continue to share common interests and goals. 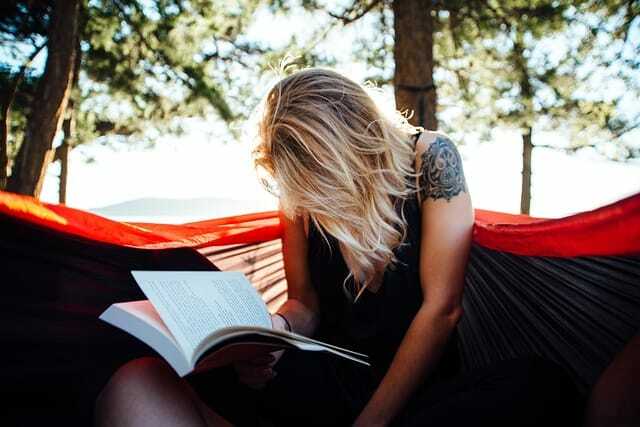 When couples spend the majority of their time pursuing their individual interest, they are missing out on a great opportunity to connect with their spouse. I know! I am contradicting myself. As we discussed above, you and your spouse need to have joint interests that bring enjoyment and happiness to each of you. However, you can’t make the marriage or your spouse responsible for your happiness. Your spouse and your marriage can (and should) add to your life, but your happiness must come from within you. You and your spouse must bring your individual happiness to the marriage in order for it to reach its true potential. Anne and I love doing many activities together, but we are not counting on our marriage or each other to be our source of happiness. One thing you must learn as a newlywed couple is that you have to be happy within your own skin. You will fail your spouse. Your spouse will fail you. Those are just facts. A great marriage is made up of two really great forgivers. Sometime forgiveness is very difficult, but holding grudges and anger not only separates you from your spouse, but it separates you from God. One of the key aspects of developing a great marriage is learning to forgive. Man! This is a big one and often a very difficult lesson to learn. This is true for newlyweds as well as those married for many years. For your marriage to be successful, you and your spouse must learn to communicate with each other effectively. In our recent post, 7 Awesome Communication Skills to Improve Your Marriage, we discussed the importance of effective communication. As a newlywed you need to begin now learning these critical skills. A great marriage is made up of two people who are looking to give to the other and give to the marriage. In your marriage, you can either take or you can give. When you take from the marriage you are looking for the other spouse to meet your needs, reaffirm their love for your, or looking to fulfill your happiness. If one person is doing most of the taking and the other is doing most of the giving, an imbalance begins to form in the relationship. You and your spouse must look to give more than you take from the marriage. You are looking to fulfill your spouse and lift them up in loving words and actions. Both spouses must be looking to do this for each other in order to maintain a balance in the relationship. Couples tend to hate talking about money, but the truth is that it is an important aspect of your marriage. Research has shown that money issues and arguments are one of the leading causes of divorce. 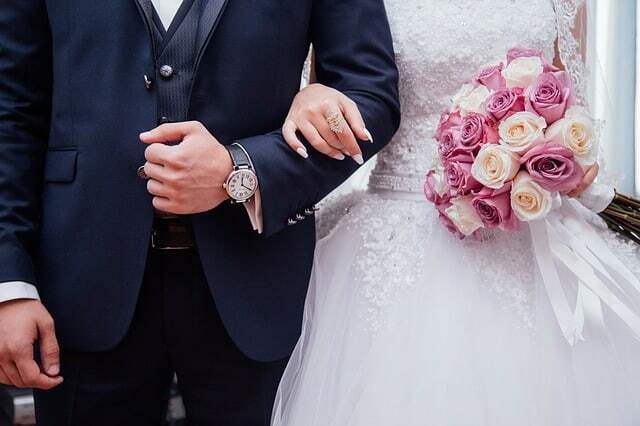 For the newlywed couple, our best newlywed marriage advice is to work together to figure out your financial goals and ground rules for your spending habits ASAP. Theeverygirl.com has a great post on discussing money with your significant other. When you and your spouse were dating, what did you do to in order to get the other’s attention? What did you do in order to win them over? Whatever it was, you must continue to do those things and more. Marriage is not the end of the courtship of your spouse, in many ways it is just the beginning. You must continue to make time and give them your attention. One of the most important ways for newlyweds to connect as a married couple is to pray and worship together. By praying and worshiping together, you and your spouse are connecting not only with God, but also with each other. Take time to lift each other up in prayer. Share your prayer requests with each other and discussed how God is working in your lives individually as well as a married couple. Dr. David Clarke has a great article on the importance of praying as a couple. Check it out here. Few things can make for a happy and loving relationship as much as just plain ole being nice to each other. There are going to be times in your marriage when you spouse is feeling down. They are going to need your kindness to support and encourage them. Whether it is through an I Love You hug of support, kind words, or a small gift to make them feel better, you have the power to be the support they need. As you become a better student of your spouse, you’ll learn to tell when they are at a difficult point and need your support to lift them through. This is also related the section above regarding learning how to say “I Love You” to your spouse. Conversely, harsh and biting words can cause your spouse to recoil away from you. Work hard to make sure that everything you say to your spouse is with encouragment and love. Ok this is one you are going to have to work out. Where are you going to spend Thanksgiving? 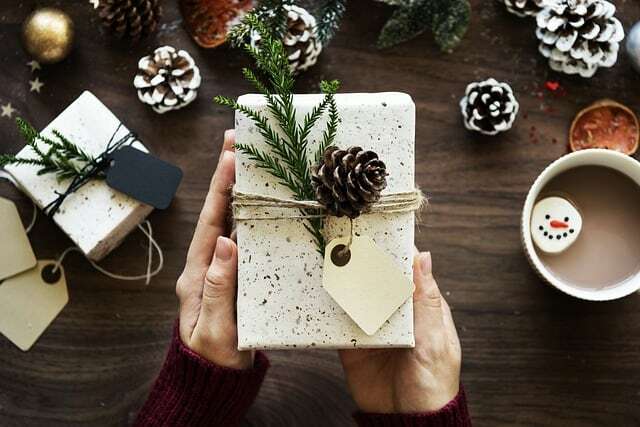 You may have resolved some of this while you were dating, but it’s important to agree on how you are going to spend holiday times and events with extended family. Always spending times with the family of one spouse over the other is going to lead to hurt feelings and resentment. Work together to come up with a solution that works for both you and your spouse. How are you going to handle conflict between spouses and in-laws. Psychologist Terry Apter of Cambridge University found that three out of four couples will encounter significant in-law conflict. Dr. Yvonne Fulbright wrote in her article Have In-law Issues that couples must have a united front when it comes to in-law conflict. When conflict arises, often one spouse will feel caught in the middle. Whether it is how you spend your money, where you live, or how to parent you children, the potential for conflict is certainly present in your marriage. As newlyweds, you need to discuss with each other how you are going to handle in-law issues. It should come as no real surprise that studies have shown that physical contact such as kissing can have a profound impact on your relationship. Dr. Gabrielle Morrissey discussed in her article How Important is Kissing in a Relationship how brain chemicals such as oxytocin (which is responsible for making people feel connected to their partner) are released when you kiss. So, kiss your spouse everyday. Science says so. In order for your relationship to flourish, you and your spouse need to make a point to connect on a daily basis. 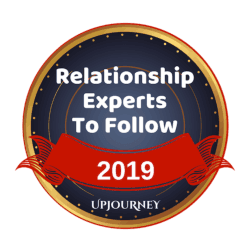 It is important in your first year of marriage that you work to develop the skills necessary to connect with your spouse. Whether it is through prayer or just asking with sincerity about their day. Make a point to create an emotional connection with your spouse. You have been blessed with a loving spouse. Be thankful! Make sure they are aware that you are thankful for them and what they do for you and the impact they have on your life. No one likes to feel as if they are taken for granted. The simple phrase “I am thankful for you” can bring a smile to your spouse’s face and mean the world to them. Additionally, people who understand the importance of being thankful are generally happier and more at peace in their lives (remember above to find your individual happiness). I understand the meaning behind this statement, but I just don’t agree with it. You and your spouse are going to argue. Sometimes it may get pretty heated. In cases like this, it is often a good idea to take a break from the argument and get some rest. You may have to sleep on the couch, but that is a much better option than letting an argument get out of hand and one of you end up saying something you really regret. In my experience, you both will likely wake up the next morning a lot calmer and more willing to understand the position of your spouse. The way she slurped her coffee when you were dating was adorable. That same slurping as a newlywed may slowly make you want to bang your head through a brick wall. You are both going to have those little pet peeves. It’s ok, but you need to talk about those pet peeves with your spouse. It is all part of being open and honest with each other. In the 2006 movie Talladega Nights: The Ballad of Ricky Bobby, Ricky feels that if he uses the phrase “With all do respect” that he can say anything he wants to anyone. When they get upset about what he said, he just reminds them that he said “With all do respect” and that makes it all good. Being able to convey your pet peeves or other issues is a little more complicated that just channeling your inner Ricky Bobby. With your spouse, you need to express yourself in a manner that is kind, loving, and positive. When you were single or when you were dating, you probably made most of your decisions alone. You spent your money as you wanted. You often made decisions that benefited or impacted only you. As a newly married couple, you must remember that each of you are now part of a team. As a team you need to establish your relationship goals. How do you want to save for retirement? How many (if any) children do you want? How are you going to handling household finances? How are you going to divvy up household chores? Nothing you do or decision you make should be done in a vacuum and one person should not have the responsibility (or burden) of doing everything. The life of your spouse is intertwined with yours. Make sure that you are treating them as a member of a two person team and not a one person team. Commit to learning these best marriage advice Dos that will put you well on your way to a successful marriage. Just like there is a list of key Dos for your marriage, there are also some key Don’ts that you and your spouse need to learn if you are going to have your best marriage. Just like the list of Dos, by committing to avoid these key Don’ts will help you in your first year of marriage. Whether you are a 25 year old newlywed or a 65 year old newlywed, you must work together in order to have a successful marriage. The first year of marriage is often the most difficult, but we hope that the marriage advice presented above helps you set the groundwork for a happy and fulfilling marriage. Marriage isn’t easy, but having the connection and relationship with your spouse is worth every bit of effort required. Connecting daily is awesome guys. I do it with my wife of 3.5 years. We hug for a few moments, holding one another. Instantly dissolves any tension/fear between us. I also did things long term; we dated for 7 years before marrying. I knew Kelli so well because we circled the globe during many of those years too. Travel forces you into uncomfortable moments again and again. Perfect set up for REALLY getting to know someone, for going through hardship together, because true colors shine through hardship. Loving these tips guys. 🙂 thanks for much for your kind comment and pinning for us! Really appreciate the love. Excellent advice! I definitely agree with learning how to communicate effectively. Good communication makes a good marriage, in my opinion. Especially about finances, lol! Stephanie, I fully agree! Good communication is a vital key to a great marriage. Thanks for commenting on our posts! Thank you for sharing these tips. I am not married, but I can tell you right now my current relationship is lacking more than half of these qualities, which is definitely not good!